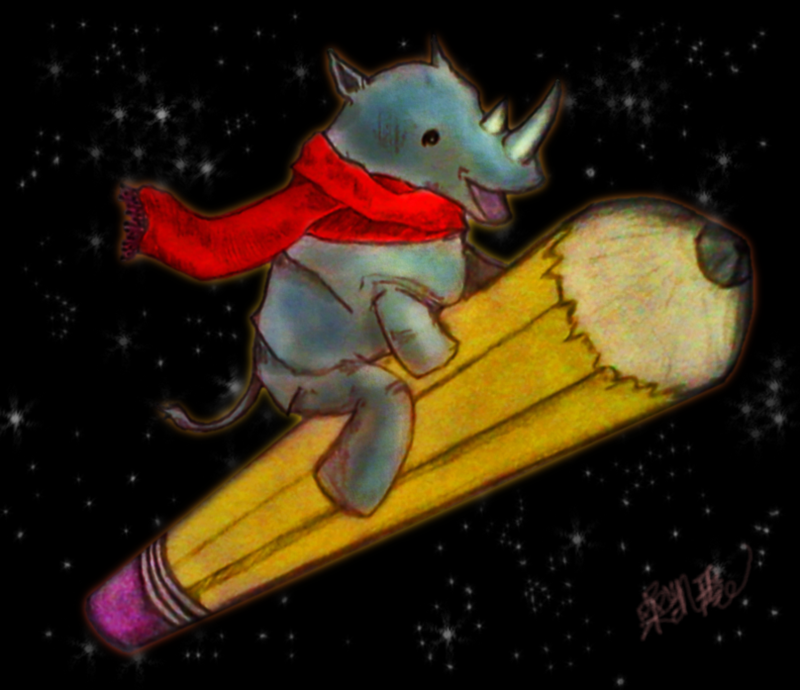 As loopy as a rhinoceros in a red scarf riding a pencil through space. Her words struck a chord of truth in my experiences with more than a few lovable crazy-haired scientists who buried themselves in disorganized piles of papers and suddenly became very interested in their own shoes when it came time for social interaction. But that I’ve become accustomed to working with idiosyncratic types who wear miniskirts with pants and speak five sentences in one breath or inexplicably interrupt a workday to take research assistants out shopping for tomatoes at a farmstand like it was part of the plan all along made me view my professor’s mild condescension of the world’s absent-minded academics with some suspicion. After all, on days that I have hair, read papers, and wear shoes, I count myself among them. So some scientists are loopy. Is that really so bad? One might argue, like my professor, that some scientists come off as space cadets because they are kept or rendered naive by a lack of experience. Untempered by the necessity to answer to a string of middle managers, a board of directors, a crowd of expectant stockholders, they are never trained to coat their lives with the polished veneer donned defensively by people constantly under the axe of social judgment. Just as those who live alone, unfettered by need for compromise with others, eventually find themselves comfortably eating bacon-covered cereal in their underwear at two in the morning, perhaps those who work within the (comparatively!) looser and more intimate setting of the laboratory or library are relatively freer to morph into… well, absent-minded professors. But this negative argument is equivalent to the more positive assertion that scientists are loopy because they can be. Perhaps in academia more so than “the real world,” progress is driven by content more than packaging, function more than form. Many of the professors whom I have known have had more wrinkles in their jeans than memorable slides in their Power Points. Of course, that content and function are still produced by people requiring motivation, persuasion, and management–and so slick self-presentation and the cunning political maneuvering it enables have their place greasing the gears of academia as well. But no number of golf outings with journal editors is going to shrink a scientist’s p-values, while the right relationships might gain a business executive enough new capital to carry a failing company over another year. In science, it’s publish or perish–and your anonymous reviewers have little incentive not to watch you die. Maybe how a professor organizes her thoughts, cell cultures, and Excel spreadsheets is more important to her success than—though admittedly loosely related to—how she organizes her desk. And does the latter really have any intrinsic value, except insofar as it affects the former? So some scientists might be weakened by lack of experience in the “real” “world.” But are the realms of such weakness really worth missing?